Ghost Anganwadi Kids in Assam: Who is the liar? Maneka or Pramila! Who is the liar? 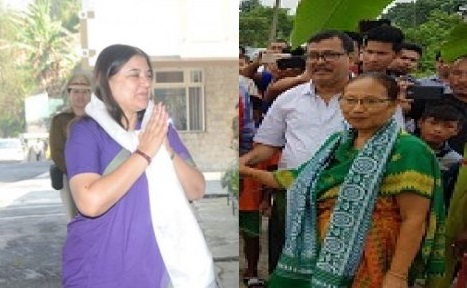 Union Women and Child Development Minister Maneka Gandhi or Assam Social Welfare Minister Pramila Rani Brahma? The ghost anganwadi kids scam in Assam that had hit the headlines raised many questions that remained unanswered till now. A survey in June this year revealed the existence of 14 lakh fake children listed in the anganwadi centres in Assam. The next day, Assam Social Welfare Minister Pramila Rani Brahma, contested the figure cited by the union minister and shifted the blame on former director of the Assam social welfare department SS Meenakshi Sundaram for exaggerating the figure. According to Brahma the figure of ghost children will be anywhere between 6 lakhs to 9 lakhs and not 14 lakhs as cited by the union minister. Brahma has not disclosed the basis of her statement except saying, “Former official submitted a report without our knowledge two days before his transfer.” But Maneka Gandhi has cited the figure from the survey report. Following the survey report of 14 lakh ghost anganwadi kids in Assam, the Ministry of Women and Child Development has asked all the states to remove the names of non-existing beneficiaries from the list across the country. The government spends Rs 8 per child per day and the exaggerated figure speaks volume of the scam in Assam. Now the question is will Assam government figure out the exact figure of ghost anganwadi kids in the state and institute a probe into the matter?